BG Group and Keppel Offshore & Marine have secured a license to supply LNG bunkers to vessels in the Port of Singapore after submitting a joint bid to the Maritime and Port Authority of Singapore. With the granting of the license, BG Group and Keppel will form a 50-50 joint venture to deliver an end-to-end bunkering solution using LNG sourced from BG Group’s LNG portfolio, building on BG Group’s role as the exclusive aggregator for Singapore’s first 3 million tonnes per annum of LNG demand. Following the start of commercial operations at Singapore LNG Corporation’s LNG terminal in May 2013, BG Group has to date delivered 72 cargoes into Singapore from its global LNG portfolio, helping the country diversify its energy sources and increase security of supply. 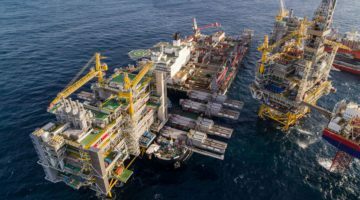 The partnership with Keppel also builds on their expertise in offshore rig design, construction and repair; ship repair and conversion; and specialized ship building, according to BG Group. The new license comes as Singapore seeks to cement its position as the leading LNG bunkering hub in Asia. Last September, the Port of Singapore launched a LNG Bunkering Pilot Programme (LBPP) targeted for early 2017, as well as a $8.4 million fund to for the building of LNG-fueled vessels. In separate news, Royal Dutch Shell announced Wednesday that it has won shareholder approval to buy BG Group Plc, sealing its biggest acquisition to date amid the worst oil-industry slump in years. The planned acquisition will make Shell the world’s biggest liquefied natural gas trader. The deal is expected to close in mid-February.